It's Facebook Fridays! for March 20, 2015! This is the week to bring peace,love, and serenity into your home. 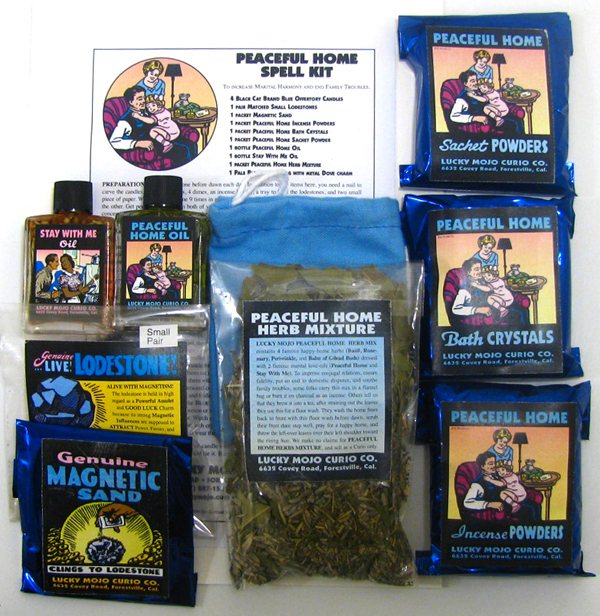 The Lucky Mojo Curio Co. is hosting a random drawing to give away 3 Wonderful Peaceful Home spiritual supply prizes! This week the prizes are a Peaceful Home Spell Kit complete with all ingredients and full instructions, a dressed and blessed Peaceful Home Vigil Candle, and a bottle of our Peaceful Home Dressing Oil. First thing tomorrow morning, we will select THREE winners at random, and ask them to message this Facebook Page with their mailing addresses, so we can send them their FREE Peaceful Home products. Folks, there is still time to get on over there, so CLICK THAT LINK and make a comment-post. Maybe you will win! We have a winner! In fact, we have 3 lucky winners! Our Facebook Fridays! winners for March 20, 2015 are: Terilynn Epperson, Cheryl Jones, and Desiree Szabos.